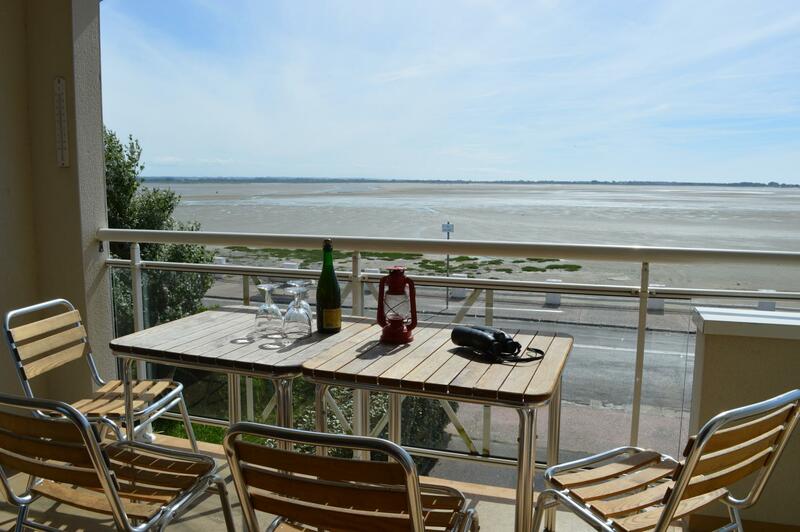 1st floor apartment for 4-6 people in secure residence facing the Baie de Somme. Private closed garage. Entrance hall, 2 bedrooms (double bed) (queen-size bed). Bathroom (hair dryer), separate WC. Fitted kitchen opening onto living room (two 120cm sofa beds).|Large picture window overlooking the Baie with balcony/terrace (outdoor furniture).